This week, South Hilll Inside Stories, An Evening with David Suzuki, and a dialogue on Building the Network are our top picks. These events deal with community and the impact we have on our environment, as well as how we can make a change for the better. Sounds good to me. Have yourself a good weekend. South Hill Inside Stories is a ground-breaking web experience fusing together art and community. Join us to screen the stories and discuss how and why they were created. Add your two bits. If we heard our neighbours’ stories, would we relate to them differently? Can art + community = social change? Moderated by award winning filmmaker and co- creator of Inside Stories, Nettie Wild. Plus meet the entire creative team: web designer Jeremy Mendes, photographer Shannon Mendes and the real people behind the inside stories. Do you want to change the world? Want to meet amazing, inspiring, progressive people? Have skills to share? Want to learn? Come create a network that will support you in your work and allow you to meet amazing young people in our community. We are a group of young people that work in social/environmental change and want to create a space to share, learn and have fun. We want to connect with the larger social change community, energize each other, and see where this takes us. We want to hear what you have to say, in a fun social environment. 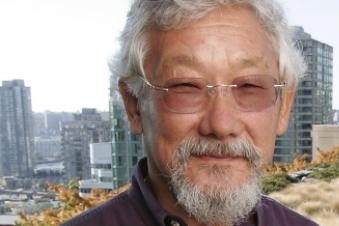 Dr. David Suzuki, distinguished Canadian environmentalist and UBC Professor Emeritus, presents a public lecture entitled “The Global Eco-crisis: Is it too late?”, offering his insights on the state of the environment and whether there is hope for the future. Dr. Suzuki will be signing copies of his books after the lecture, in the atrium of the Chan Centre. Passion for Justice is Pivot Legal Society’s annual charity auction and one of Vancouver’s hottest events. This year Passion will feature an expanded drag show, DJ K-Tel, amazing live and silent auction items, and much, much more.